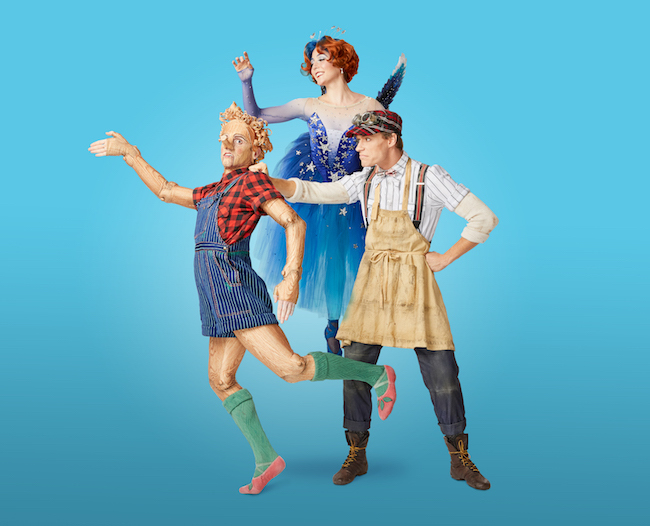 Texas Ballet Theater (TBT) will present the United States premiere of Pinocchio May 17-19 at Winspear Opera House on the AT&T Performing Arts Center Campus in Dallas and on May 24-26 at the Bass Performance Hall in Fort Worth. All performances will feature live accompaniment from the Dallas Opera Orchestra in Dallas and The Fort Worth Symphony Orchestra in Fort Worth. A co-production with the National Ballet of Canada, Pinocchio tells the beloved story of a puppet’s adventure to becoming a real boy. Audiences of all ages will be wowed by the vivid costuming, magical storytelling and dialogue that guides the family-friendly story of the puppet who just wants to be a “real boy.” Will he take a chance and wish upon a star? With heartwarming characters that teach key moral lessons to children and adults alike, Pinocchio is sure to be a fan favorite. The full-length, kid-friendly ballet has two acts and lasts approximately one hour and 40 minutes, including a 20-minute intermission. A “Wiggle Room” is available for restless children to play while still watching the performance via a screen or window. Photo: TBT for Pinocchio. Photography by Steven Visneau.